Getting in touch with your local MP is so often a last resort for families who are really struggling and it sometimes breaks my heart to tell my constituents that there’s little I can do. Yet week in, week out, hard working parents from across Stockport visit me or their local Labour councillor to complain about the lack of affordable and good quality homes for their families. I’ve been personally contacted by mums and dads who both work and who have growing families, with children who need their own room but who simply can’t afford sky-high private rents. Unfortunately, they can’t move to any form of social housing, despite their obvious needs. This is because of the basic shortage of decent family accommodation which leads to massive demand for any larger properties that become available. Families in private rented housing don’t fare much better and they often get caught in a vicious cycle as it’s almost impossible to be considered for a council house when you already have somewhere to live, whatever the circumstances. Constituents have told me that it doesn’t matter if your landlord doesn’t fix the leak in your child’s bedroom, raises the rent at the drop of a hat, or puts you on a short-term tenancy of 6 months or less which leads to their children being uprooted several times a year. With no help from the Tory Government in London, Labour in Stockport is taking the lead and fighting back for our communities. Earlier this year Labour launched the Stockport Viaduct Housing Partnership. By working with Stockport Homes the Council has for the first time the capacity to provide homes for Stockport residents without having to rely on central government. This new and exciting housing development company was spearheaded by Councillor Sheila Bailey, Labour’s lead on housing in Stockport. We’ve started seeing this on Flint Street, just off Shaw Street, where the disused site of St Thomas’ Hospital is being developed so that by December 2018 we’ll see new two and three bedroom homes for families and the disabled. For years, the Government has made it as difficult as possible for us to provide decent and affordable homes. 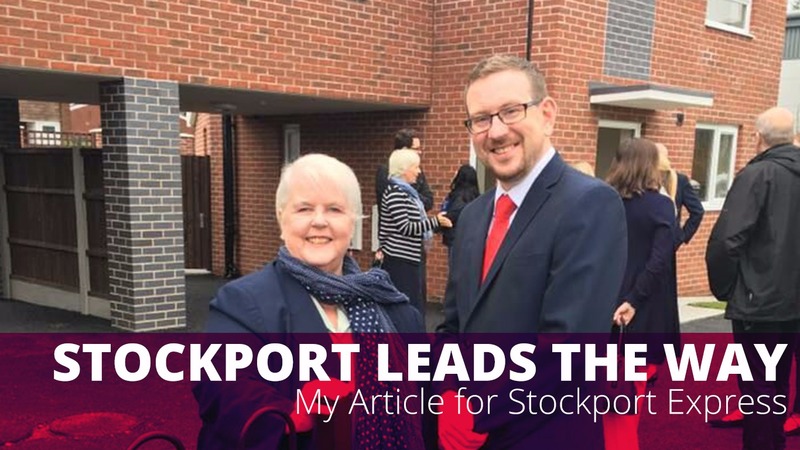 Labour has now taken the matter into our own hands in Stockport, and although this will not solve the problem on its own we intend to invest in the homes of the future.